This new NIV Journalling Bible with illustrations Hannah Dunnett is a new way to engage with God’s word. Not only with notes, references and wider margins, but also beautiful images to inspire you in your journey in God’s word. This Bible is ideal for walking with you as the seasons change, and as life goes on all around you. With the space to draw, note, and reflect on the NIV text, this is a Bible with an abundance of creativity. This is the perfect gift for the friend who doodles, and makes notes in every nook and cranny of their own beaten Bibles. For families who love to read together, and loved ones with whom you want to share God’s word. ​The Guys Slimline Bible blue chevron edition is the perfect gift for all occasions and features the easy to understand New Living Translation text. The 53-page dictionary/concordance helps kids locate passages on various topics. Includes 8 pages of full-color maps, a blue ribbon marker, and a special presentation page. The New Living Translation text is excellent for young readers because it is so clear and they can understand what they are reading! When they can read and understand God’s Word, God can work in their hearts! 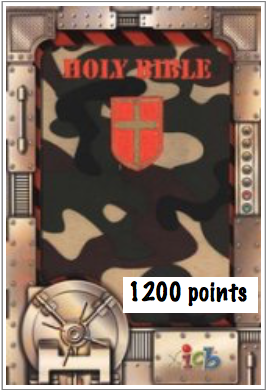 ​A full text Bible in International Children's Bible translation in traditional camo canvas cover and just the right size for young hands. Embroidered with a cross, this Bible is perfect for adventurous boys. The cloth binding style offers kids a compact and cool look to carry their Bible to church, school, or on-the-go. It's durable, flexible, and incredibly adventurous for boys of all ages! ​The NIV BEACON BIBLE PAPERBACK is printed on Bible paper and includes extra features alongside the text, including introductions, lists of key passages, reading plans and book overviews. A short concordance is also included.With over 400 million Bibles in print, the New International Version is the world's most popular modern English Bible. It is renowned for its combination of reliability and readability. Fully revised and updated for the first time in 25 years, the NIV is ideal for personal reading, public teaching and group study. This edition uses British spelling, punctuation and grammar to allow the Bible to be read more naturally. ​The NLT's easy-to-read everyday English and trustworthy scholarship combine to make this Bible ideal for personal study or sharing with seekers. 5 1/4" x 8 1/4" x 1"
Introducing a new line of canvas Bibles for teens called Zips. Each Zips Bible has a fashionable and practical zipper closure that not only accents the cover design, but also keeps the Bible pages protected. This compact Bible is perfect for the active lifestyle of today's teens. Features include a presentation page, coloured page edges, the full text of the New Living Translation, plus 26 pages of extra material in the front to help teens know more about the Bible and God's plan for their lives. The New Living Translation is an authoritative Bible translation, rendered faithfully into today's English from the ancient texts by 90 leading Bible scholars. The NLT's scholarship and clarity breathe life into even the most difficult-to-understand Bible passages but even more powerful are stories of how people's lives are changing as the words speak directly to their hearts. That's why we call it "The Truth Made Clear." Special occasions call for the gift of God's Word. The reasonably priced Gift & Award Bible makes a great gift for special occasions. With a cute, flowery design perfect for girls, this full-text International Children's Bible features maps and a dedication page, making it a perfect presentation for baptism, confirmation, graduations, Holiday Bible School, and other gift-giving occasions. Give the gift of God's Word, and commemorate special moments in a child's life. The New Living Translation Gift and Award Bibles offer today's most popular features, including an introduction to the Bible, a dictionary/concordance, full-color presentation pages and maps, a plan of salvation, and a durable binding"”all at an affordable price. Perfect for individual gift-giving or for churches. Girls will love this new bubblegum pink edition that was created just for them! The New Living Translation is an authoritative Bible translation, rendered faithfully into today's English from the ancient texts by 90 leading Bible scholars. The NLT's scholarship and clarity breathe life into even the most difficult-to-understand Bible passages"”but even more powerful are stories of how people's lives are changing as the words speak directly to their hearts. That's why we call it "The Truth Made Clear." ​The reasonably priced Gift & Award Bible makes a great gift for special occasions. With a cool shield design for boys, this full-text International Children’s Bible features maps and a dedication page, making it a perfect presentation for baptism, confirmation, graduations, Holiday Bible School, and other gift-giving occasions. 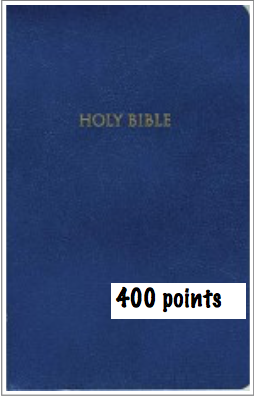 ​The #1 selling Bible for teens, now available in the New King James Version. 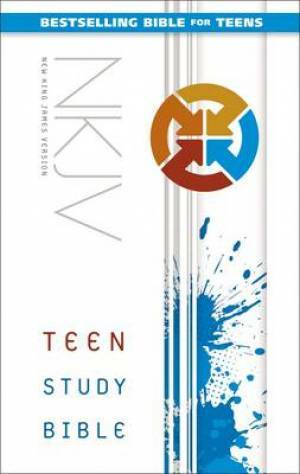 Full of study features that help today's teen learn more about God, the Bible, and how God's Word relates to their lives, the NKJV Teen Study Bible helps teens build a strong daily relationship with God. ​The new Kids Slimline Bibles in the New Living Translation were designed for kids ages 8-12. The presentation page, covers, and page edge designs create an overall theme. Includes a 53-page dictionary/concordance that helps kids locate passages on various topics, 8 pages of full-colour maps, a ribbon marker, and more. ​Ready for your first “real” Bible? Great! You’ll love how you can read this Bible all by yourself. The print is easy to read and The Beginner’s Bible®art is fun and will help you better understand the stories in the Bible. Features include: Presentation page so you can make this Bible your own. Complete text of the New International Reader’s Version (NIrV) of the Bible—written for kids just like you! Large print is easy to read. 20 full-color pages of The Beginner’s Bible illustrations help you better understand the stories. 66 book introductions and outlines explain who wrote each book of the Bible and what you will discover as you read. Dictionary of key Bible words will help you when you come to a word you don’t know. Reading plan of 150 famous Bible stories will give you a great overview of God’s Word. Brand new vibrant, three-dimensional art. Easy-to-understand Bible stories and fun devotionals are the perfect way to send little ones to bed feeling safe and blessed. Perfect for bedtime, or anytime, the Read and Share Bedtime Bible and Devotional will be parents' go-to source for teaching children the stories of the Bible and sharing the amazing joy and wonder of God's Word. Complete with maps, charts, and study helps, this easy-to-read Bible will captivate kids ages 7 to 10! 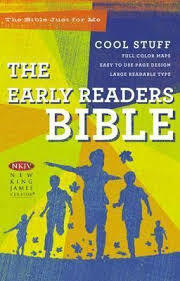 The new Early Reader's Bible is God's Word for kids. With 192 pages of maps, charts, articles, and study helps, combined with large print easy-to-read Bible type, this is the perfect first study Bible for kids ages 7 to 10. A Bible that encourages kids to dig in and grow their faith! The stories of how God created the universe, rescued His people Israel from slavery and sent His Son to forgive our sins are amazing. But how do young people find out all about them? This colourful, affordable Bible—containing the complete Old and New Testament of the King James Version—is just what they need. It has big, easy to read type and the words of Jesus are in eye-catching red letter text. And, there are twenty-four striking illustrations throughout that help tell the Bible’s story in a powerful way. ​Make your faith your own! The Extreme Teen Study Bible is about discovering who God is, what He’s doing in the world, and what He promises for your future. Features include: Book Introductions provide you the who, what, when, where, and why of each Bible book Character Profiles give you the inside info about specific people who stood a head above the rest to change their world World App and Life App articles help you examine real-world issues from a biblical perspective What’s It Mean? notes serve up bite-sized explanations of specific words or phrases you read that might not be as obvious today as they were in Bible times God’s Promises articles focus onthe hundreds of reasons in Scripture that you can always count on Him More than 250 Make It Real articles help you apply what you’re reading to your own life Three different Bible-Reading Plans provide you with aroad map to reading God’s Word The Quick-Reference Finder is the place to turn when you need to find God’s answers to your questions It’s all here—truth, inspiration, bottom-line actual reality. Discover it for yourself! This carefully designed KJV Bible for children ages six to ten contains study helps that will motivate, inspire, and equip them to better understand God's Word. Parents will appreciate the learning resources included, and kids will love the easy-to-read type and brightly coloured exterior and interior designs. ​Put the Word of God into action! The Take Action Bible, Teen Edition features real-life stories and full-color photos of teens who are putting their faith into action. Read their inspiring stories and follow their examples with 52 ideas for you to put God's Word into action. 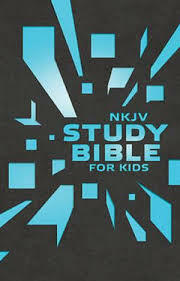 ​The NKJV Study Bible for Kids is the premier study Bible for kids in the trustworthy New King James Version. This Bible has been created and designed especially for you with vibrant full color on every page! Now studying the Bible can be easy and fun. There are many themed articles placed within the Bible text to help make it easier for you to read, understand, and learn about God's Word. With over 800 features to inspire and teach, you will enjoy the informative full-color articles, and easy fan-tabs to navigate through the pages. Features are integrated throughout the Bible text to prepare kids to learn how to use a study Bible so that they can use study Bibles now and as adults. By studying this Bible you can experience the big picture of the incredible Bible story, God's love for you, and how to use it in your daily life. Get your kids into the Scriptures with this One Year Bible that gives them portions of Scripture to read each day. This repackage of the One Year Bible for Kids starts with Genesis 1, ends with Revelation 22, and includes key chapters of the Bible in 365 daily bite-size portions that kids can read in just a few minutes. This revised edition includes a puzzle and a challenge each month to cheer kids on toward the goal of reading through the Bible in a year. Great for kids ages 8-12. ​The NKJV Study Bible for Kids is the premier study Bible for children 8 to 12 in the trusted New King James Version, and in full-colour! Not only is this a Bible for study of biblical facts and themes, it also includes articles that are topical, and truly applicable to a child's daily life! The NKJV Study Bible for Kids is a great 'hand book' for young ones to learn about God's Word, His love for them, and how to navigate through their day with God by their side. For 10 years, kids have had fun learning about Scripture with The One Year Book of Devotions for Kids series. Now The One Year Book of Devotions for Kids, Volume 1 is available with a great look for a new generation of readers. Each day's lesson focuses on a key theme from a Bible story. A contemporary story, application questions, a memory verse, and an action phrase combine to reinforce the theme for each day. A great way to help kids connect with God! 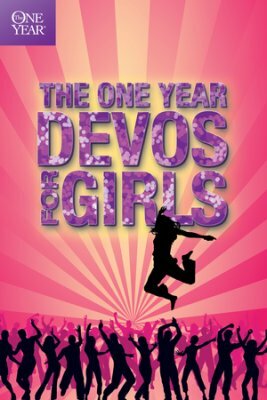 ​​Girls will be eager to read these devotionals created just for them from the same people who created the One Year Book of Devotions for Kids #1-3. A variety of themes relevant to today's elementary school-age boys and girls will encourage and challenge them to personalise lessons from Scripture. This handy guide provides a basic introduction to the Bible for the seeker or new Christian. Full colour artwork and pictures illustrate the text and help the reader learn about the lands and people of the Bible. Key biblical words and doctrines are explained, and major biblical characters are highlighted. A seven-panel fold-out time line presents Bible history at a glance. The Action Storybook Bible invites families with children ages 8 and under explore God’s redemptive story together. From the sleek and amazing creatures God created at the beginning of the world to the powerful kings who reigned over ancient Israel to Jesus’s gift of eternal life for you and your family—God has a beautiful and exciting plan for the world. Where do you fit into that plan? How are the truths found in God’s Word reflected in your life? This Bible storybook features 15 episodes highlighting key milestones in God’s story, packed with dozens of scenes—combining stories from God’s Word with brand-new captivating illustrations from Brazilian master-artist Sergio Cariello, illustrator of the bestselling The Action Bible. Discover your family’s place in God’s redemptive story and together put your faith into action!. Short and easy reading for all ages. The Life, Faith, Action! feature wraps up each episode and helps your family recognise how God is moving through each story, discover how that relates to your daily lives, and feel inspired to put your faith into action. Heroes Hall of Fame index, where you can look up your favourite Bible characters and discover their stories!